Rewards Canada: July 20 Update: Frontier to return to Calgary, new enhanced screening measures on flights to the U.S., great VHR bonus! 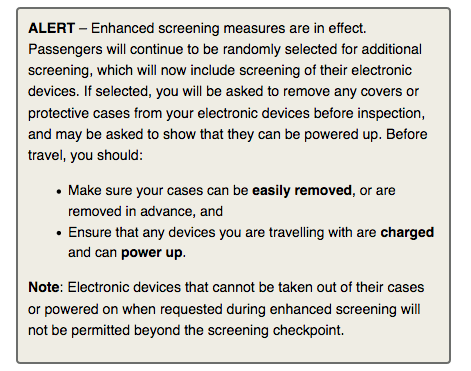 July 20 Update: Frontier to return to Calgary, new enhanced screening measures on flights to the U.S., great VHR bonus! Customers who have purchased Premium Economy or Economy Class tickets1 on selected routes2 have the opportunity to upgrade to the next cabin class via Upgrade Bid. If your flight and fare class are eligible to make an Upgrade Bid, and you have opted in to receive offers from Cathay Pacific, you will receive an email invitation seven days before the first sector of your booking. You can also check your flight’s eligibility by entering your booking reference number and family name on the Upgrade Bid welcome page. To enter the auction, simply visit our Upgrade Bid page to place your starting bid. If your offer is accepted as the winning bid, you’ll receive an email notification confirming your upgrade 48 hours before the departure. Unfortunately Toronto and Vancouver are not on the initial list of cities where this is being offered however they may come at a future date. According to Visa, MasterCard and American Express merchant rules, merchants generally cannot charge you a service fee when consumers use their credit card. However, Visa, MasterCard and American Express permit eligible merchants to charge a service fee (also known as a convenience fee) for certain types of transactions. Visa, MasterCard and American Express all require that the fee be clearly disclosed to cardholders before the transaction is completed and that cardholders are able to cancel the transaction without penalty. Note that under the Code of Conduct for the Credit and Debit Card Industry in Canada, merchants may choose to offer discounts for different payment methods, but they are not required to do so. Apparently its only certain types of transactions which we believe are premium card transactions. I have a feeling merchants who choose to do this (it's still over a year away) will lose business to those merchants who choose not to add any surcharges.